Sarah Hyland and Mila Kunis know they look alike and when the pair finally met, they had a good laugh about their similarities. Hyland said that Kunis “came up to me and said she gets called me all the time too… she said that sometimes she pretends she’s me because it makes her feel young. I asked if I could pretend to be her next time somebody asks me if I’m her, and she said OK.” The Black Swan and Modern Family actresses do share beautiful eyes and similar features, but what do you think- would you mistake one for the other? 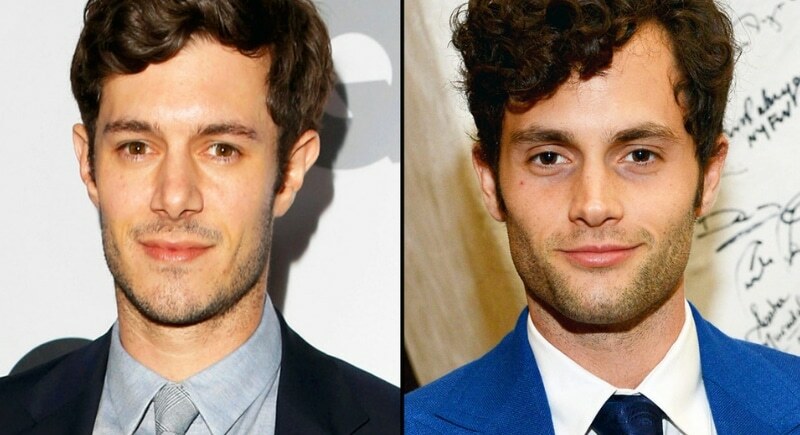 Seth and Dan, or as you may know them, Adam Brody and Penn Badgley, seem to have both been made in heartthrob heaven. Both TV stars also married famous women. Interestingly enough, Brody is married to Badgley’s co-star from Gossip Girls, Leighton Meester. Badgley has not shied away from being involved in political movements while Brody describes himself more like a “beach mood” kind of guy, so perhaps their similarities stop at their physical features.